Margaret Pole was careful, oh so very careful. She had been quietly married to a nice, obedient knight, Sir Richard Pole. She lived far away from court in Ludlow Castle with her husband who was guardian for Arthur, Prince of Wales. Occasionally she visited her cousin, the queen, and came to love the royal children, especially mischievous and spoiled Prince Henry. She became lady-in-waiting to Queen Katherine and governess to Princess Mary. But always, always, she was careful. Lady Margaret had need to be careful, for she was one of the last Plantagenet heirs. She was niece to Edward IV and Richard III and the granddaughter of the Duke of Warwick, “The Kingmaker”. All of her life she grieved for her brother who spent his life in the Tower. A brother who’s only transgression was his royal birth and who was ultimately beheaded. This is the final book in the Cousin’s War series and it ties neatly to the Tudor series. It shows a chilling side of the reign of Henry VIII that made life in England almost unendurable for commoners and nobles alike. As always, the characters are real, believable, and I ached for Margaret, forever trying to do the proper thing, the safe thing. I greatly enjoyed the book. 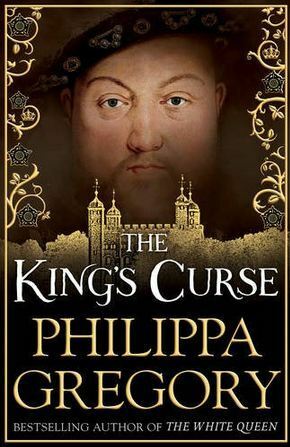 It may be Philippa Gregory’s best so far. Highly recommended and suitable for older teens. This entry was posted in adult, historical fiction and tagged Henry VIII, Tudor. Bookmark the permalink.